West Coast Martial Arts Academy has a long tradition in the local community, as well as the Martial Arts community, of embodying higher standards. The Academy has always surrounded itself with outstanding Martial Artists as well as organizations that uphold the integrity and traditions of the Arts. West Coast Martial Arts Academy is proud to be affiliated with the following organizations. 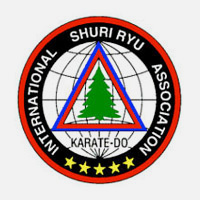 The International Shuri-Ryu Association is the largest organization of Shuri-Ryu stylists in the world! Though our name is style-specific, our association is comprised of many different styles and systems. We all share the common goal of spreading the positive attributes of Martial Arts throughout the world. Whatever path you are on, we invite you to learn more about us. 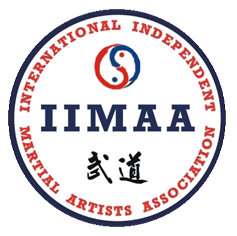 IIMAA is a multi style martial arts training and rank registration association supporting the combat and self-defense oriented martial arts community. Having members from around the world, I.I.M.A.A. is a nationally and internationally recognized Centralized Governing Agency. I.I.M.A.A. provides standardized rank accreditation and promotion guidelines that are universally applied to all martial artists regardless of their training methods or philosophies. The Mission of I.I.M.A.A. is to unify Martial Artists from around the world with a foundation of mutual respect for all styles or systems and to provide services and guidance to foster Technical Excellence, Fellowship and Human Character Development. The I.I.M.A.A. is committed to Ensuing Integrity and Maintaining the Highest Standard in the Martial Arts Community. Politics are not tolerated within IIMAA! Each member is completely independent and can use IIMAA as much or as little as they feel necessary. We are here to support every member equally! Muay Thai Boxing has become one of the most popular ring Martial Arts in the past two decades. It has created an exciting view of competitive Martial Arts, short enough to keep spectators attention, (3 to 5 rounds), yet long enough to gain it International recognition as the ring sport of the future. Behind the scenes of American Muay Thai is a large network that administers, governs, and regulates the sport in the United States. This unity of officials, coaches, trainers, judges, referees, and administrators are what makes the United States Muay Thai Association Inc. one of the most respected organizations in the world today. The USMTA is Internationally recognized in 167 countries on all five continents as the force behind American Muay Thai. 22 countries use the rules and regulations of the USMTA. The South African Government has acknowledged the rules and regulations laid down by the USMTA who, with the support of the (BTBC) British Thai Boxing Council, produced this information for the South African Muay Thai Association and the USMTA. The BTBC also helped produce the International rules and regulations for Thailand, the mother country of the sport. 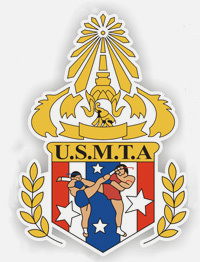 The USMTA, as the National governing body for American Muay Thai, is the “United States” member organization of the IFMA, AMTAT, WMTC, EMTU, WAMTO, WMTF, and ABC. As National governing body, the USMTA is responsible for administration, development, and promotion of today’s International-style Muay Thai in the United States. 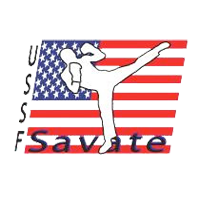 Founded in 1994, as the union of four preexisting Savate Federations (California, Illinois, New Jersey, and Virginia), we now have direct representation in ten states and serve all of the USA. As an official representative of the International Savate Federation, we are striving to provide a conduit for people seeking to learn about Savate and Boxe Française in America. We are a non-profit, educational, democratically elected organization. The North American Grappling Association (NAGA) holds Brazilian Jiu Jitsu and Submission Grappling tournaments in North America. NAGA is the largest Submission Grappling association in North America with over 46,600 participants worldwide, including some of the top Jiu Jitsu fighters in the world. NAGA holds Grappling tournaments for gi and no-gi competitors, with NAGA rules for no-gi competition and traditional Brazilian Jiu Jitsu rules for gi competition. NAGA also holds Mass Destruction and Reality Fighting amateur and professional MMA events. 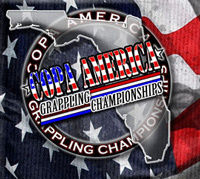 Copa America is the fastest-growing and most affordable family Grappling tournament in the Country. Copa America Sponsors can benefit in many ways with an affordable investment. Copa America prides itself on remaining a friendly and family-oriented Grappling event. We are dedicated to bringing you the highest quality gi-BJJ and no-gi Submission Grappling Tournaments Possible! By embracing all forms of Grappling; from Brazilian Jiu Jitsu, Wrestling, Submission Grappling, SAMBO, and Catch Wrestling; to no-gi Jiu Jitsu; we provide a safe, comfortable environment for competition with numerous divisions for all ages and skill levels. In addition, we maintain the highest quality staff and referees available to give competitors what they deserve in a tournament experience.